Rahul Verma’s son was born gravely ill with digestive problems, but over years of visits to the boy’s endocrinologist, Verma saw the doctor grow increasingly alarmed about a different problem, one threatening healthy children. Junk food, the doctor warned, was especially dangerous to Indians, who are far more prone to diabetes than people from other parts of the world. One day in the doctor’s waiting room, Verma noticed a girl who had gotten fat by compulsively eating potato chips. He decided he had to do something. Verma, who had no legal training, sat late into the nights with his wife, Tullika, drafting a petition in their tiny apartment, which was bedecked with fairy lights and pictures of the Hindu deity Ganesh, who is believed to overcome all obstacles. He filed the public interest lawsuit in Delhi High Court in 2010, seeking a ban on the sale of junk food and soft drinks in and around schools across India. The case has propelled sweeping, court-ordered regulations of the food industry to the doorstep of the Indian government, where they have languished. They have outsized importance in India, population 1.3 billion, because its people are far more likely to develop diabetes — which can lead to heart disease, kidney failure, blindness and amputations — as they gain weight than people from other regions, according to health experts. Since 1990, the per cent of children and adults in India who are overweight or obese has almost tripled to 18.8 per cent from 6.4 per cent, according to data from the Institute for Health Metrics and Evaluation at the University of Washington. “We are sitting on a volcano,” said Dr Anoop Misra, chairman of a diabetes hospital at Fortis Healthcare, one of India’s biggest private hospital chains. In the years since the court ordered the government to develop guidelines to regulate junk food, the case has encountered ferocious opposition from the All India Food Processors Association, which counts Coca-Cola India, PepsiCo India and Nestle India as members, as well as hundreds of other companies. The government last year took a significant step that public health experts believe will help combat the rise of obesity in the world’s second most populous country. It partially implemented a tax on sugar sweetened beverages, instituting a 40 per cent tax on such drinks that are carbonated, though not on juices made with added sugars that many children drink. But so far, the regulations to ban sales near schools sought by the court in Verma’s case have led to naught. The court battle has unfolded in a grand, wood-panelled courtroom here in the nation’s capital. 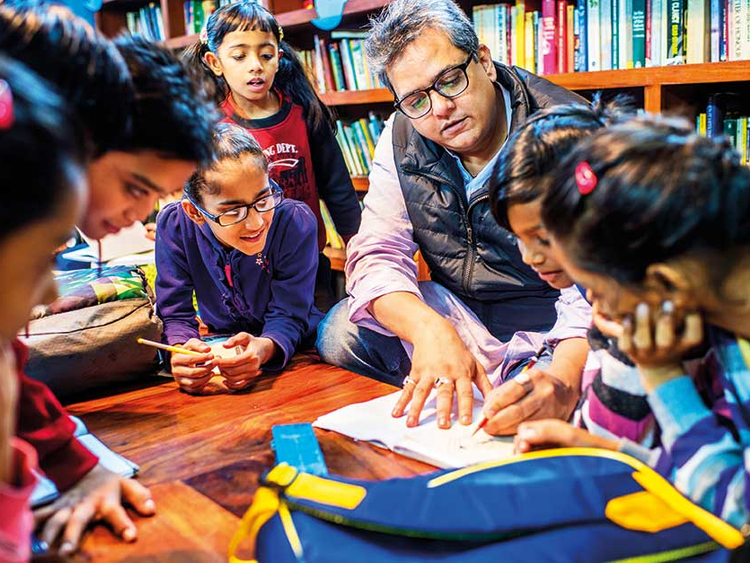 Verma, 42, quit his job as a corporate marketing executive after his son’s birth in 2006 and set up a foundation in 2007 to help families like his with sick children. An emotional man, he sometimes wept in frustration with the government’s foot dragging. At one point, doubting his decision to venture into India’s overburdened legal system, the lanky, round-faced Verma, who wears big square glasses, begged the judge to let him withdraw the petition. But Chief Justice Dipak Misra refused to let Verma take back his lawsuit. Instead, spotting a senior advocate, Neeraj Kishan Kaul, at the back of the crowded courtroom, the judge ordered him to act as the pro bono lawyer for Verma’s case. “But nobody knew why,” said Dr Viswanathan Mohan, a physician and researcher who owns several dozen diabetes centres in India. 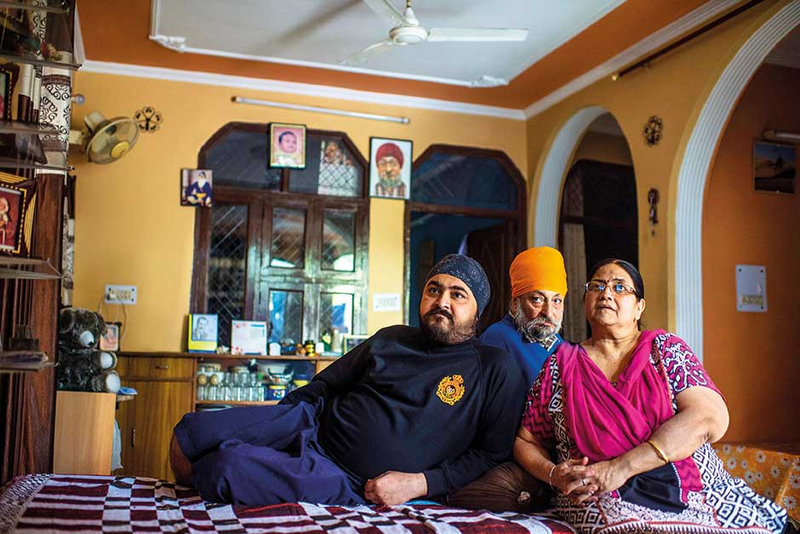 Scientists searched for genes that predisposed Indians to diabetes, but did not find them. Instead, a growing body of research suggests that Indians’ body type — one that is smaller but with more abdominal fat — may be responsible. Dr Chittaranjan Yajnik, a diabetes specialist, and Barry Popkin, a professor of nutrition at the University of North Carolina, are among the researchers exploring a theory that Indians evolved what Yajnik has called “a thin-fat” body type over millenniums as a way to survive famines when monsoons failed. Yajnik, who is from Pune, a city in western India, noticed during his medical training in Britain in the 1980s that he had higher levels of fat and hormones related to diabetes than European doctors even though he appeared thinner. That set Yajnik, now head of diabetes at KEM Hospital Research Center in Pune, on a quest to understand if this was generally true for Indians — and if so, why. Compared with infants in Britain, Indian newborns were about 680 grams lighter but had more abdominal fat and higher levels of certain hormones in their cord blood, he found, suggesting a predisposition to diabetes. 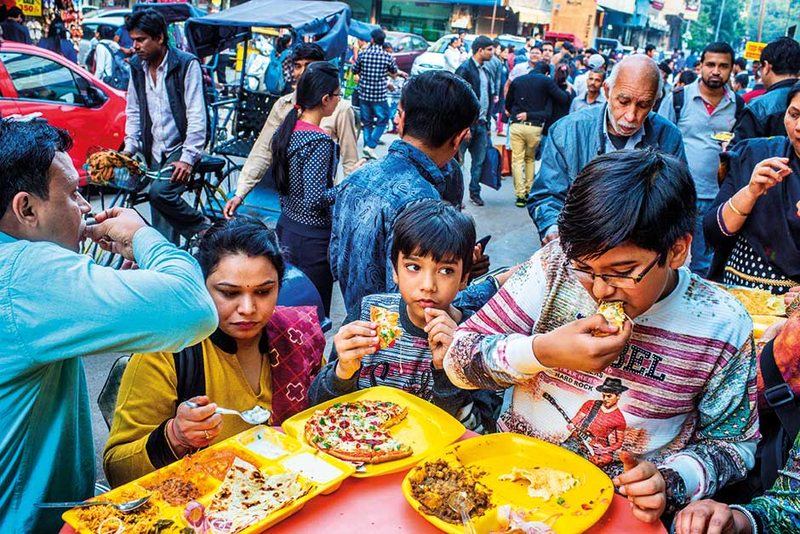 Yajnik said he believes Indians’ susceptibility to diabetes may have emerged as their diets changed with rising affluence — and that their bodies, attuned to scarcity, could not handle an overload of food. Although obesity and overweight are far less prevalent in India (24 per cent last year) than in Canada (about 60 per cent), for example, adults there are just as likely to develop diabetes as in Canada, a New York Times analysis of data from the institute found. In the years since Verma filed his suit, consumption of junk food has risen sharply across India. Sales of packaged foods have increased 138 per cent; fast food 83 per cent; and carbonated drinks 58 per cent, according to Euromonitor International, the market research firm. Coca-Cola Co’s chief executive James Quincey, in an interview with Indian media earlier this year, said that he expected the Indian market to eventually become the company’s third largest in sales, up from sixth. Sanjay Khajuria, a Nestle India spokesman, said the food processors association, which opposed Verma’s case, had “taken into account inputs received by the association from its members,” and declined further comment on the case. He also noted that the company has joined other companies in India to restrict advertising directed at children younger than 12 to products with a certain level of nutrients. A Coca-Cola spokesman referred questions on the lawsuit to the food association. PepsiCo India’s vice president of sales, Harsh K. Rai, also declined to comment on the lawsuit. He said the company has stopped advertising to children 12 and younger. Becoming a crusader against junk food was far from Verma’s mind as he and his wife battled to save their son, Uday, who was born with parts of his digestive system missing. The boy endured nine surgeries, but emerged thriving. His parents decided they wanted to help families facing similar challenges and formed the Uday Foundation. Verma ran it, while his wife supported the family on her $1,000-a-month salary as an administrator in the government education system. After seeing the obese girl in the doctor’s waiting room, Verma could not shake his concern about junk food. He also had a worry closer to home: His daughter, Lavanya, sometimes bought burgers at school instead of eating the rice and lentils her mother sent from home. The food industry hired some of the country’s most politically connected lawyers to fight the case, including Mukul Rohatgi, former additional solicitor general; Abhishek Manu Singhvi, who has been a member of Parliament and spokesman for the Congress Party, which has ruled India for most of its post-independence history; and Kapil Sibal, the three-time president of the Supreme Court Bar Association who had served as a senior minister in the Congress-led government. The food association strenuously objected. D.V. Malhan, its executive secretary, said in an interview that there are so many schools that the proposed sales ban would have hurt the industry badly. Last year, at a meeting in New Delhi, that committee proposed taxing junk food, prohibiting advertising of it during children’s television shows and requiring consumer labelling of processed food. Malhan, of the food association, denounced the report for not soliciting industry input earlier. Shouting, he said the guidelines were unacceptable. Agarwal, chief executive of the food authority, insisted his agency is finally ready to start adopting new rules early next year for labelling healthy food with a green light and those high in fat, sugar and salt with a red light. As the government debates junk food policy, doctors here say that during the past 20 years they have seen their offices packed with increasingly younger diabetic patients. In November, Sapna Dhingra, 49, called Dr Rommel Tickoo, a New Delhi internist, complaining of leg pain. He sent her for a blood test and texted her the next day: “Come over. You’ve got diabetes.” She reeled in shock. Her mother is also diabetic, but got the disease in her 60s. Her husband, Hardesh, 54, learned a few months ago that his high blood sugar put him on the borderline of being diabetic. He immediately started taking daily walks, but Delhi’s dangerous air pollution prompted Tickoo to advise him to stop. A blood test revealed that the couple’s daughter, Ria, 22, also had elevated blood sugar. She is not overweight, either, although she gained a a little weight recently after a knee injury interrupted her exercise routine. Tickoo advised Ria to immediately change her diet but she said it was hard to resist temptation. When she is not studying at the Pearl Academy of Fashion, where she is in her final year, she hangs out in malls crammed with fast food restaurants serving pizza, burgers, fried chicken and oily Indian entrees. At lunchtime one recent day, people on crutches and with tubes hanging out of their noses gathered in a crowd outside the hospital where Verma’s son was treated. 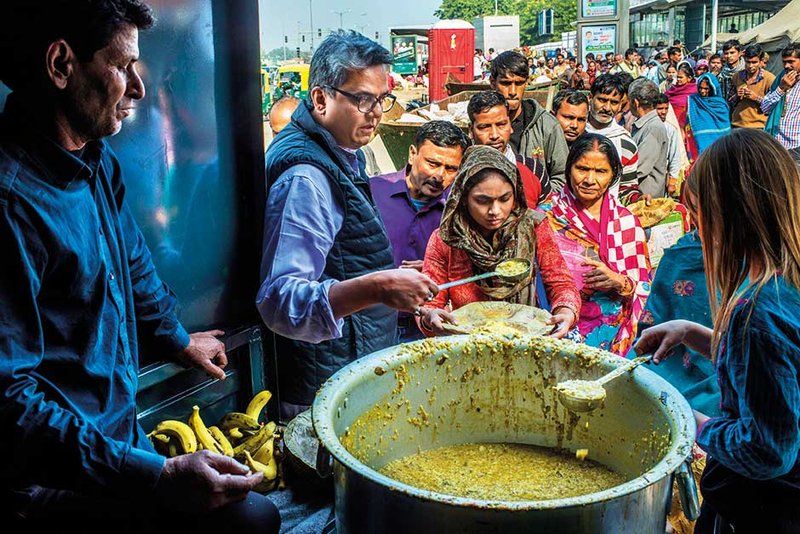 A white van pulled up and they jostled to the front of the line for heaping bowls of khichdi, an Indian favourite of rice, lentils and vegetables. Verma’s foundation — which now has more than 700,000 Twitter followers — serves these meals three days a week to about 1,000 patients. At his office, he revelled in his David versus Goliath battle to regulate junk food. He was emphatic that someone needs to continue the fight; he is just not sure that someone is him. He is convinced the unending legal battle gave him high blood pressure. His former partner on the case, pro bono lawyer Kaul, said India needs more than Verma to make change happen. But that happened after outrage about filthy air had mounted. Kaul said the government will only move on junk food once public pressure builds.